How much more do people who live in pedestrian-friendly neighborhoods walk than people who live in neighborhoods that are not as conducive for walking? What about people who happen to live in walkable neighborhoods for whom “walkability” was not a decisive factor in choosing where to live? Do these people also walk more than others who live in less walkable neighborhoods? 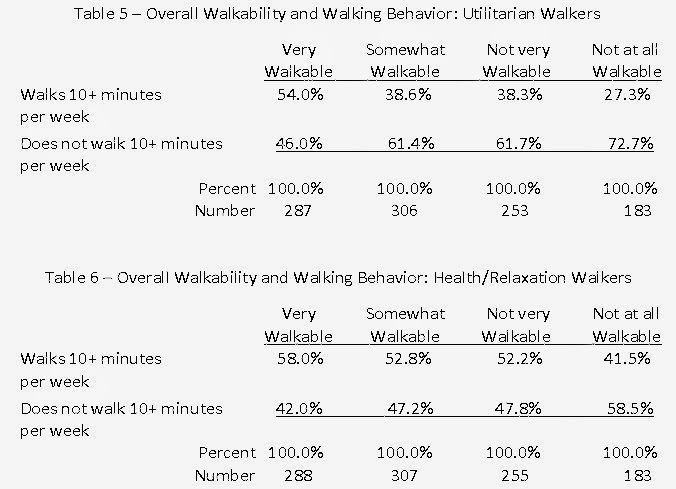 To answer these questions, the survey queried respondents about both the type of walking they did in a typical week, including "utilitarian" (to get some place) and "health/relaxation" (exercise, walking a dog) walking. They were also asked several different types of questions intended to gauge the walkability of their neighborhoods. As the following table shows, people who live in neighborhoods they consider "walkable" are far more likely to walk more than 10 minutes per day than people who live in less walkable places. It's no big surprise that people in walkable neighborhoods walk more, but is that because they "self-select" (i.e. people who like to walk choose to live in walkable neighborhoods), or is the design of the neighborhood actually impacting residents' activity levels? "Approximately 46 percent of those who perceived their neighborhood as being “very walkable” walked at least 10 minutes at a time in the past week. Conversely, only 33 percent of those who described their neighborhood as being “not very/not at all walkable” walked this amount of time." Unlike other research investigating the impact of walkability on behavior, this paper relies on respondents' opinions about the "walkability" of the walkability of their neighborhood, rather than a physical evaluation of neighborhood characteristics like number of sidewalks, street lighting, etc. This makes it difficult to assess exactly what features in so-called "walkable" neighborhoods are encouraging residents to walk more. 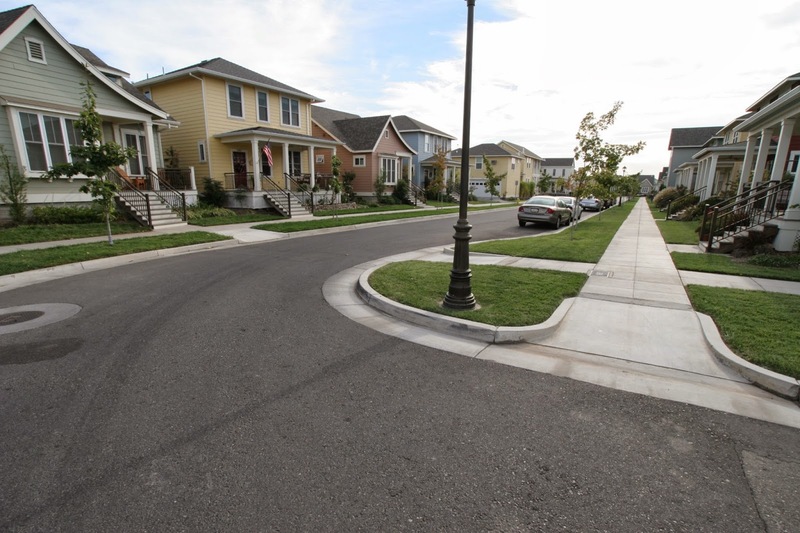 Nonetheless, the paper provides yet another source supporting the idea that improving neighborhood walkability can encourage physical activity and help address some of the critical health issues facing Americans today.